Just wondering if any knows if this is an official Lego set, and if so, which one please. I've checked the Brickset database for the last 5 years City sets, but nothing jumped out at me. It looks official, and if so, I think I really badly need it. Hi Michael - I'm afraid you'll need to purchase a rather large set to get that vehicle. 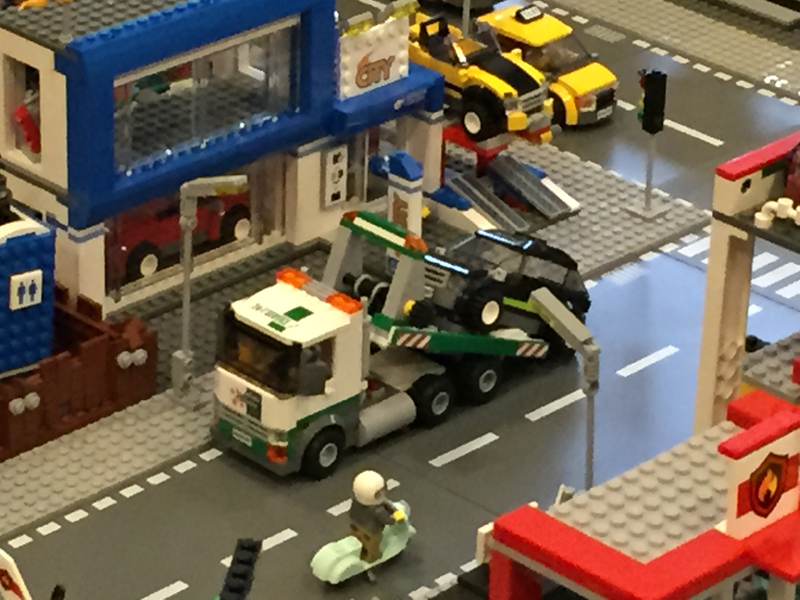 The flatbed tow truck appears in the upcoming City Town Square set (60097). Huw has it listed in the database, sans images because it hasn't been released yet. Here is a video from the 2015 Nuremburg Toy Fair. Thanks LegoKip. Yes, just noticed it now when doing my daily Brickset visit. I'm a sucker for 6-wide trucks, and I spy 2 in this set. No interest in the buildings or helicopter, but must get that tram. If there is only 1 truck or item in a large set, I'll try and get just it off Ebay, otherwise I'm quite happy to purchase the full set and sell off the unwanted parts (back on Ebay). Thanks for your interest and help. Michael.